Like every year since 2003, we’re getting a new Call of Duty game this fall. 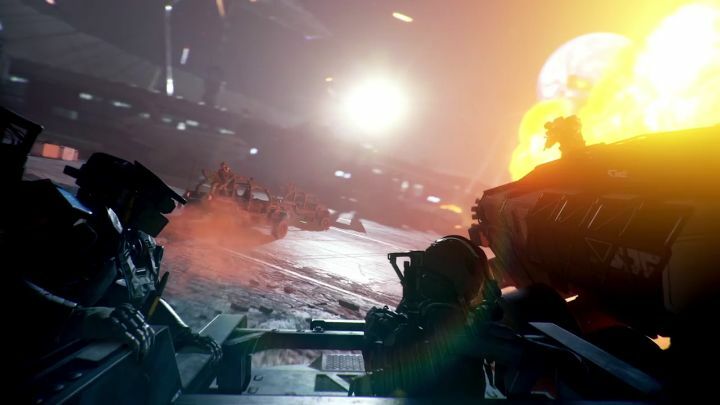 Although fan reaction to the upcoming Call of Duty: Infinite Warfare has been mixed though, as not everyone is fond of the game’s sci-fi setting and spaceship combat, with the game’s earlier reveal trailer being one of YouTube’s most disliked ever. But still, it cannot be argued that the Call of Duty games are some of the best military shooters ever made, although they have long abandoned their World War II roots and pushed further into sci-fi territory every year. What is clear though, is that this latest game in the long-running Call of Duty series promises to be as cinematic as earlier games in the series, with this newly released story trailer showing some impressive action sequences set in space (even if the game looks more like Bioware’s Mass Effect games than Call of Duty at times though). Fans of Game of Thrones will be also delighted to hear that Kit Harington (Jon Snow in the series) will be playing a character in the game (the evil leader of the Settlement Defence Front) and it will surely be interesting to see Harington play such a different character in a sci-fi setting. Also, the special edition of the game will come bundled with a remaster of Call of Duty: Modern Warfare, the 2007 game that is arguably the high point of the franchise (although sadly it won’t be available as a standalone game). Of course, the game will also feature the series trademark multiplayer and fan-favourite zombie mode, which this year will be set in a 1980’s amusement park and feature the voice acting talent of Paul Reubens and David Hasselhof of Baywatch fame, amongst others. So will this Call of Duty be another great entry in the series when it hits the shelves this fall? This remains to be seen, although judging by this latest trailer it is likely Call of Duty fans will be in for a good gameplay experience when the game is released this November.